Expansion is a goal for many barber shop owners. Those who have built up a busy and profitable barber shop often believe that two shops must be better than one, but that is not always the case. Of course, if the second shop turns out to be as successful as the first, the rewards can be considerable, but many businesses try to expand too quickly and the result is often disastrous. Opening a second shop is not easy and those who jump in without proper planning can find themselves with one successful shop and another that drains its profits. The reasons for opening a second shop have to be sound ones. It should not be in order to boost the owner’s ego or to provide a job for a member of the family. Only expand if the business is ready for it and if an ideal location too perfect to ignore becomes available. It is vital the same market research and planning that went into finding the ideal location for the first barber shop is repeated when searching for a location for a second shop. Obviously it cannot be too close to the first shop, otherwise you risk competing with yourself, and it must have enough potential customers passing the door give it a realistic chance of success. 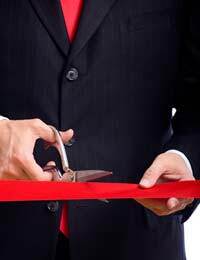 Be aware that opening a second shop requires a significant amount of funding. Money must be in place for rent and rates, staff recruitment and wages, a shop refit and marketing. There should also be an emergency fund in place for any repairs or nasty surprises. A second barber shop should not be considered unless there is enough money in the pot to cover these expenses. Remember too how much work will be needed to get the second business up and running – and no barber shop owner can be in two places at the same time. Do you concentrate on running the first barber shop and employ a manager to get the second one up and running? Or do you concentrate on the launch of the new business and appoint a manager to run the first shop? Either way it requires a massive change in mindset for an entrepreneur, as instead of being in complete control he must now trust someone else implicitly and give them the freedom to run one half of the business. Not all barber shop owners keen to expand will look to open a second shop. The alternative is to move the business to larger premises, but this form of expansion presents problems of its own. If a shop is successful enough to contemplate expansion then it follows that it has many existing customers. In order to retain these customers, it is crucial to find suitable premises near to the original location, as moving to a different area would mean losing most or all of them. Finding a new, bigger location nearby is a gamble too, as the shop you vacate could be the ideal first premises for another barber - and that means more competition.